Turkey's police purge risks harming the new momentum in EU relations on the eve of Prime Minister Recep Tayyip Erdogan's visit to Brussels. The European Commission, in a press communique issued on Wednesday (8 January), said Erdogan's action is "a matter of concern due to its possible impact on the independence, impartiality and efficiency of current investigations." It added: "Any action which undermines the effectiveness of investigations into these allegations should be avoided." 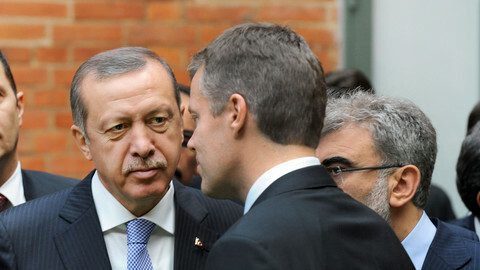 The purge, which is being orchestrated by Erdogan's intelligence service, the MIT, saw more than 360 law enforcement chiefs fired or reassigned on Monday and Wednesday. Many of them were directly involved in a probe into corruption allegations against Erdogan's inner circle, which threatens to hurt his ambition to be elected President of Turkey later this year. An EU official told EUobserver that EU foreign ministers are likely to informally discuss "if there will be an impact on the accession process" at a meeting in Brussels on 20 January. He noted that Erdogan's visit to the EU capital the next day - his first in three years - will be a chance for EU commission President Jose Manuel Barroso to "tell him to wake up and to stop what he's doing." The EU criticism on evasion of justice runs counter to Erdogan's PR, which says the purge is needed to remove a fifth column of "Gulenists" - people loyal to Fethullah Gulen, an influential Islamic preacher living in the US, who turned against Erdogan in a dispute on education policy. 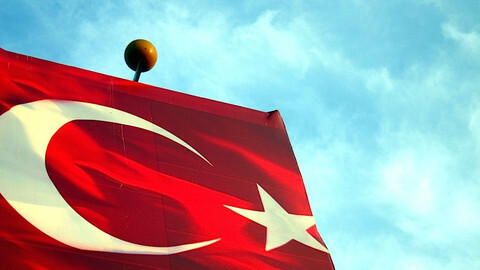 The Turkish embassy to the EU and its foreign ministry in Ankara could not be contacted for a comment on Wednesday. But its new EU affairs minister last month urged Brussels to be "cautious" in its statements on the Gulen affair, while Turkish diplomats say the Union has little leverage in Turkey these days. The developments come amid a fragile rapprochement in EU-Turkey relations. The two sides in December signed a migration deal designed to pave the way for EU visa-free travel. 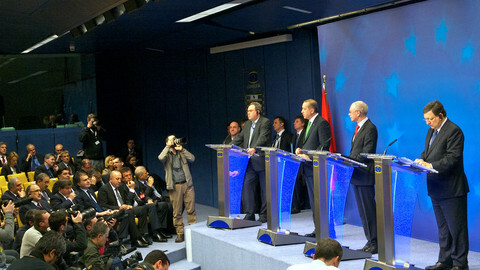 They also restarted accession negotiations in November following a three-and-a-half-year pause. 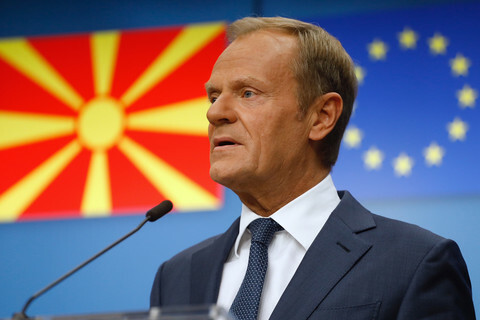 Pro-Turkey EU countries and the commission had been pushing for Cyprus to lift its veto on opening two more "chapters" in the accession talks this year to keep the momentum going. French President Francois Hollande had also been expected to lift a French veto on a third chapter. But the EU official told this website that Erdogan's police move has put his EU allies in a "tricky situation." 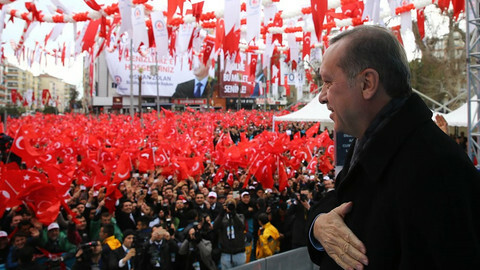 "Some might say his actions show that Turkey is not a mature partner in the accession process and that opening any new chapters at this stage will be exploited by his administration as some kind of political victory," he noted. The commission's annual reports on Turkey have for several years running voiced worry on high-level graft. Meanwhile, the police purge is the latest in a series of Erdogan's strong-arm measures against adversaries. 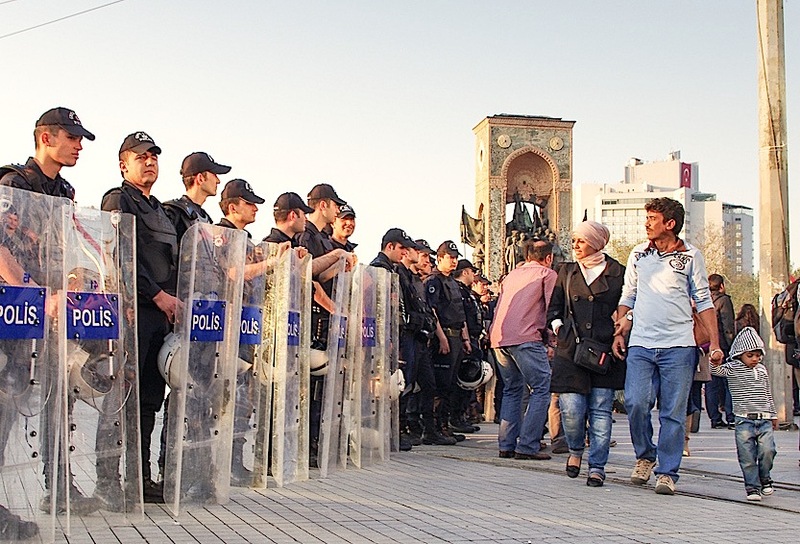 Last summer, he shocked Europeans by violently breaking up street protests in Istanbul. He also imprisoned 27 journalists in 2013, compared to 30 in China (the world's worst on press jailings), and 20 in Iran. 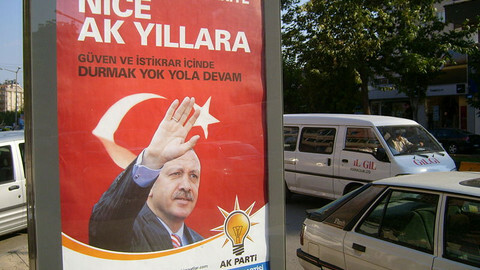 The Turkish PM has reshuffled his government, but is refusing to stand down over a corruption scandal. The EU and Turkey have feted a new pact on migrants, but relations are about to go back into low gear. Germany has said that Turkey’s crackdown on the police and judiciary is putting EU accession talks at risk. Turkey’s PM used a rare visit to Brussels to justify his crackdown on judges and to say he is the victim of outside "groups."